Spring is here! Local, fun activities are plentiful. There will be something for everyone. 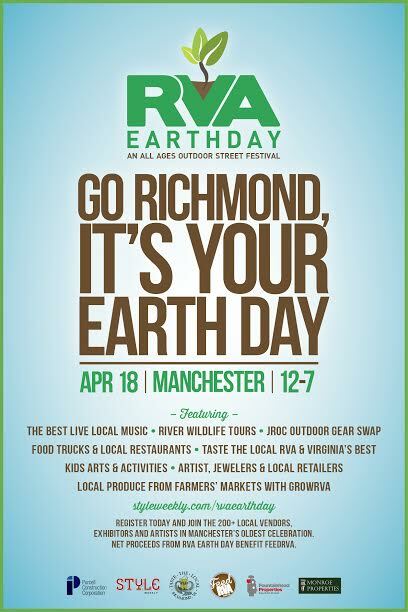 This Saturday, come out and enjoy the RVA Earth Day in Manchester from 12 – 7 pm. Friday, April 24 kicks off the 4th Friday Food Truck Corral at The Cultural Arts Center At Glen Allen, 5 pm – 8 pm benefiting Outreach Programs. Sunday Brunch Market starts May 3 at The Cultural Arts Center At Glen Allen will have fun for the entire family, 11 am – 3 pm. You will be able to visit some of your favorites GrowRVA vendors at all of these events. There is so much to do; make sure you save the dates for these great activities.